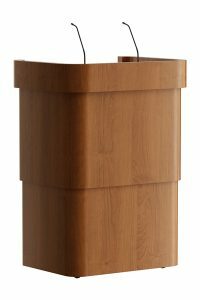 The elegant rounded lines give this stylish wooden lectern the stature your presentation deserves. 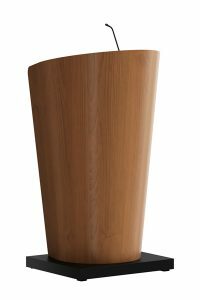 Available in a variety of finishes make it fully customize your interior. The reading desk is portable. 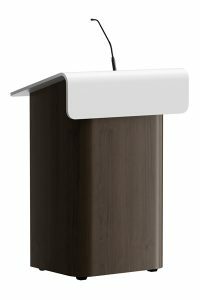 The optional cable grommets allow you to conduct the peripheral cables through the lectern. 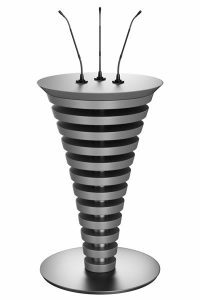 The wheels make it easy to move on stage.